10 years of service is cause for a celebration! Margaret has been at SBC Ltd for 10 years, so she was thanked for her loyal contribution to the company by SBC’s MD, Paul Holland yesterday. 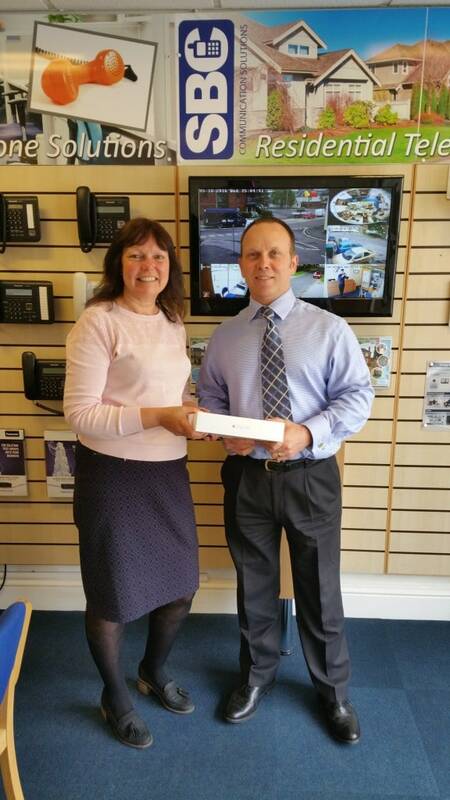 Margaret started working at SBC to carry out general administrative support throughout the company, but as SBC has evolved, so too has Margaret’s role, and she now works more closely with Ian Milton, our Mobile Manager looking after all our business mobile account holders. Margaret is also one of the first points of contact when you call us, as she is part of the reception team. 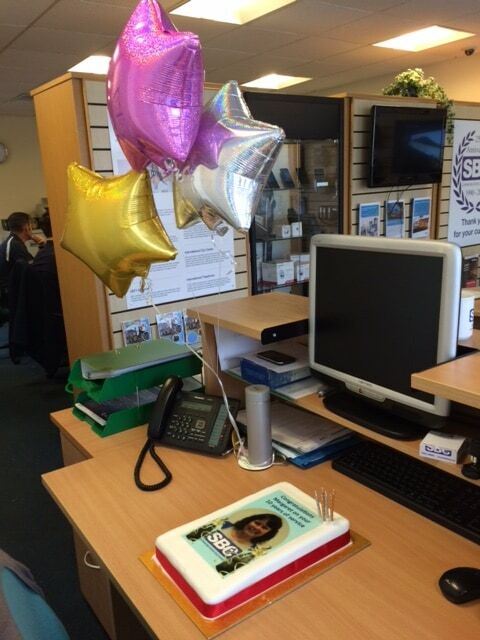 Paul presented Margaret with her gift, and her desk was adorned with balloons which she came back to after lunch. 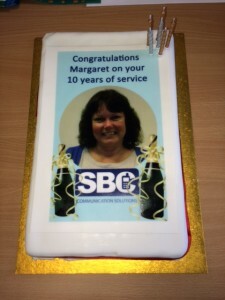 We all then helped Margaret celebrate by eating most of her cake! Well done Margaret, we salute you!